SGIA’s ‘Product of the Year’ competition showcases digital imaging products that keep the specialty imaging industry moving forward. ‘Product of the Year’ winners have benefited from worldwide recognition and the ability to market their product as a winner of this prestigious competition. The OnsetM features print speeds enabling production of more than 200 boards per hour and remarkable quality achieved with a seven picoliter drop; delivering cost-effective short run jobs, in a popular format size. 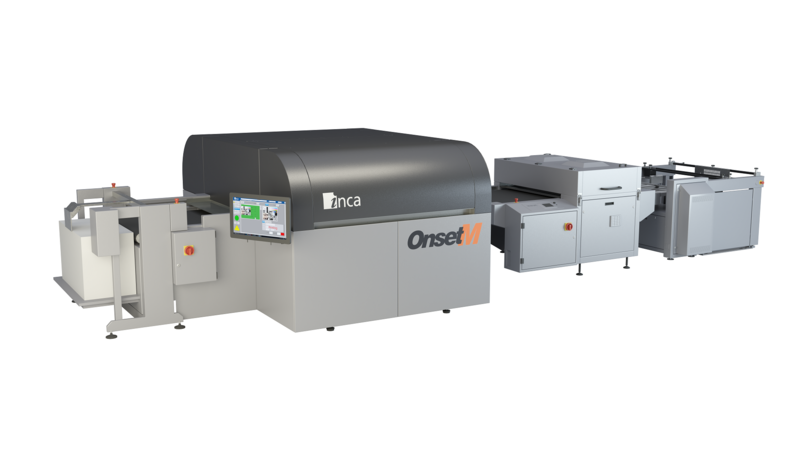 The print quality of the OnsetM is driven by Inca Digital’s intelligent features for precise ink droplet placement, featuring Fujifilm’s Uvijet inks and FUJIFILM Dimatix printheads. The small ink drop produces crisp text, and smooth color transitions ideal for close viewing distances. The OnsetM produces vibrant colors, smooth gradients and fine text, rivaling offset print. The OnsetM is manufactured by Inca Digital, and distributed exclusively in North America by Fujifilm. Experience the OnsetM at SGIA Expo 2018, in Fujifilm booth #1119, at the Las Vegas Convention Center.